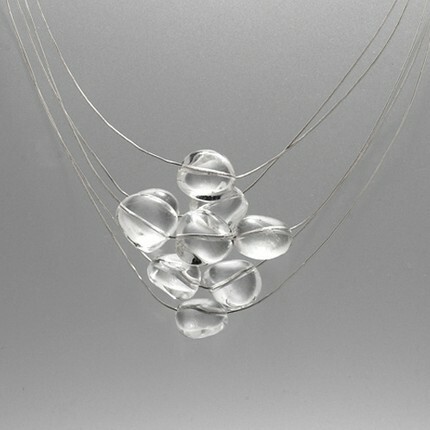 Clear, beautiful drops of quartz crystal suspended on either gold-filled or fine silver wire. Great, clean design, goes with everything and always gets compliments. You’ll love it. A couple of versions of coordinating earrings available. Just ask if you don’t see them here!